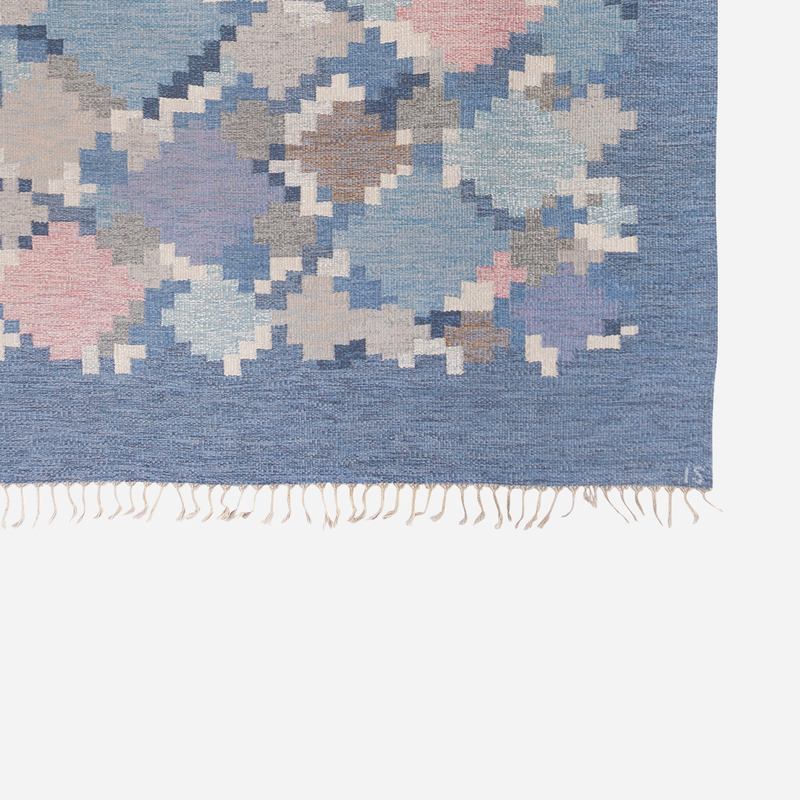 We love so many things about this rug. 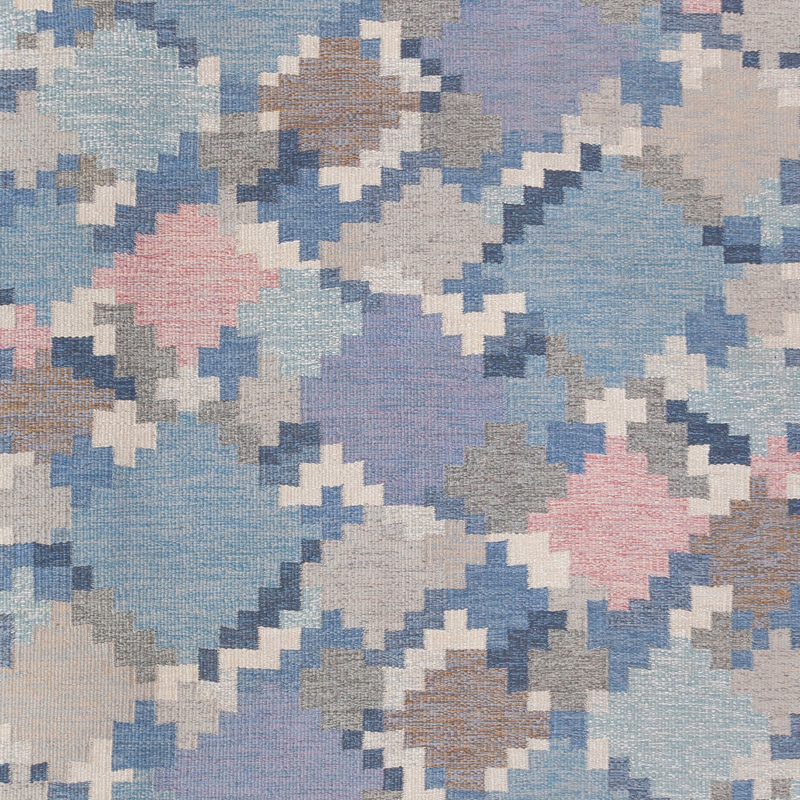 The soft pink and blue pixel design is so fresh and modern, you'd never know this rug was made 60 years ago (in 1955). It was designed by one of the best-known Scandinavian textile artists, Ingegerd Silow (1916-2005), whose initials (IS) are stitched into the edge. The color composition looks simple from a distance, but upon close examination you'll see dozens of shades within each block of color. It gives the design added complexity–colors may look different depending on where you're standing or the time and light of day. 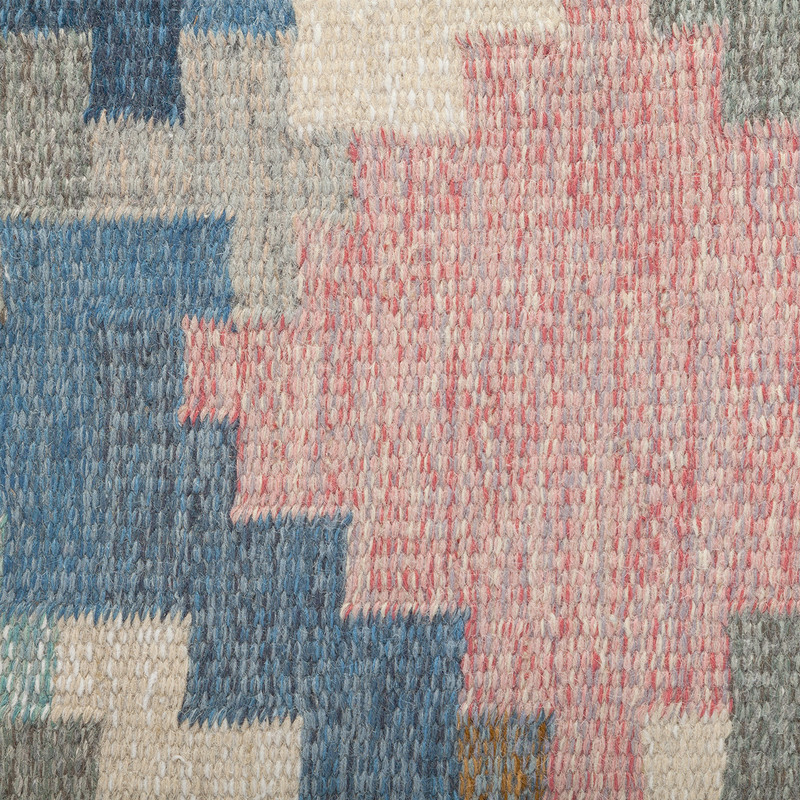 It measures 6'2" x 9'3” (an uncommonly large size for a vintage Swedish rug) and is very well made. 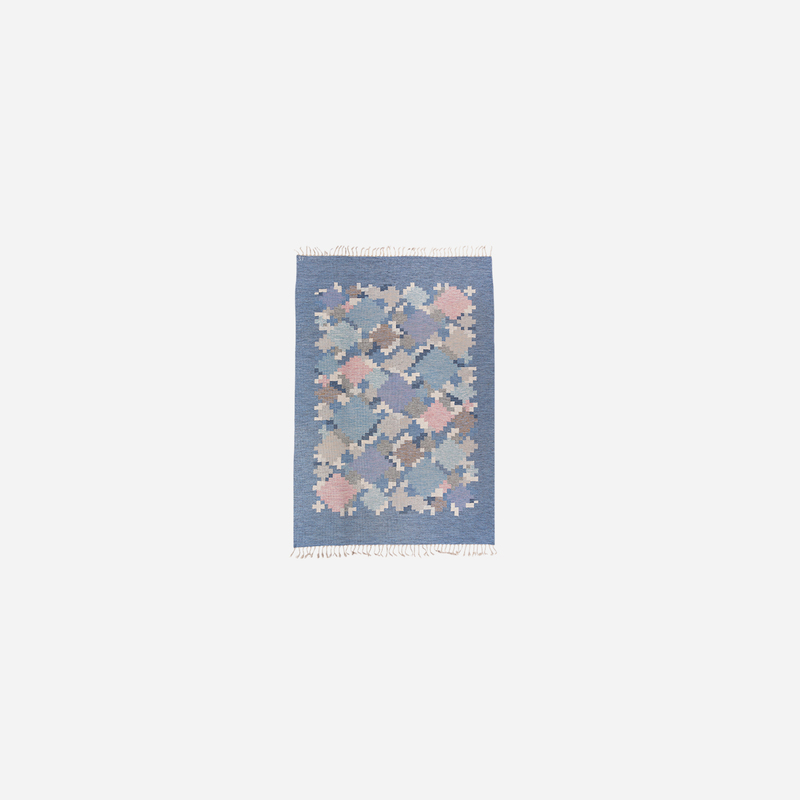 It has one of the thickest piles of any flatweave we’ve seen and is in excellent condition. Vibrant colors. Very good original condition. Steam cleaned. No stains or holes.